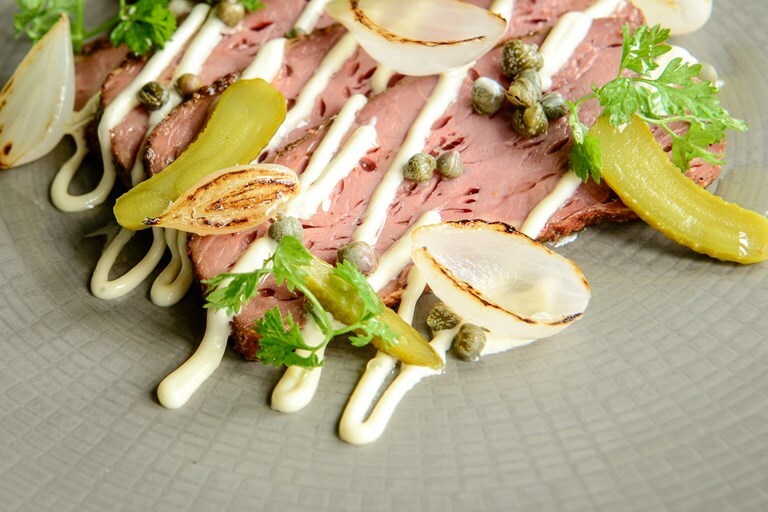 This salt beef recipe is not just any salt beef recipe. Lovingly brined, rubbed in a stunning ancho chilli spice mix and gently smoked, it is the product of numerous flavour-infusing techniques, resulting in melt-in-the-mouth, delicious brisket. 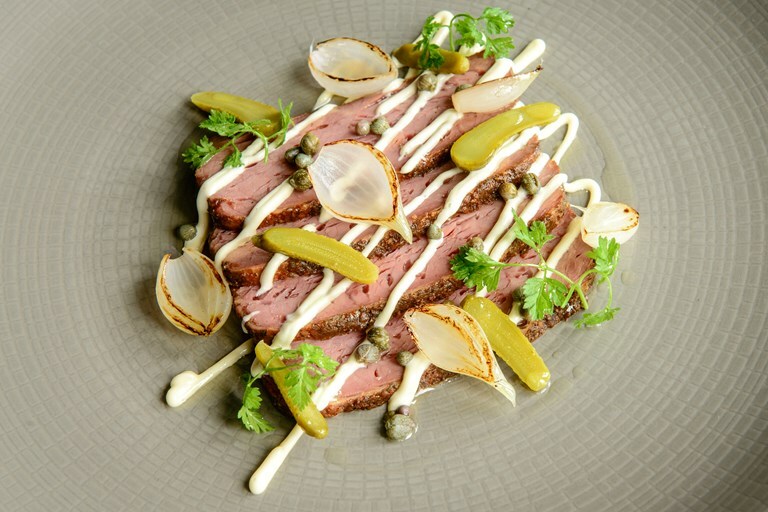 Chef Andy McLeish serves his beefy creation with a smoked mayonnaise, dainty pickled onions and capers for a truly next-level dish.